suddenly it’s december 1st and guess who hasn’t started her christmas knitting?? not that this is any different than any other year—i am perennially late getting into the mood. i think i might be addicted to racing to the finish, in fact. 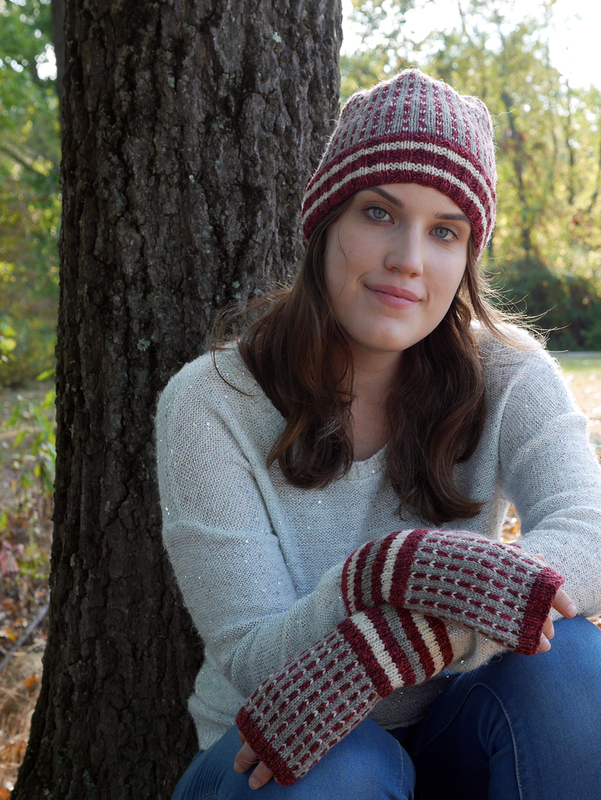 which is why i love quick knits for gifts. and if said quick knit is also universally cute for guys, kids, and women . . . AND raises money for a great cause like our red scarf scholarship fund, well, sign me up. 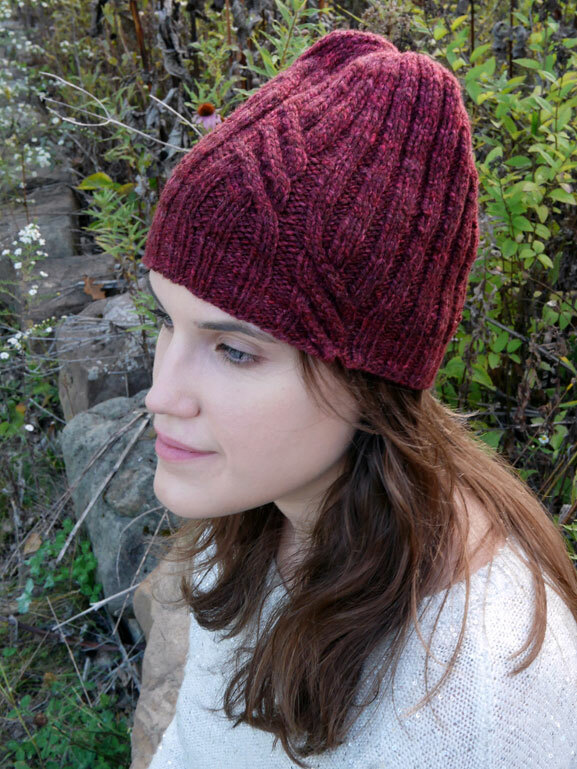 kate atherley‘s mayberry cap, designed especially for our 2017 fundraiser ticks every one of those boxes and more, plus it’s fun to knit—how can we not love it? kristy glass just gave us a nice shoutout on her youTube channel with a fundraiser plug featuring this cap—you should take a look (i’ll wait). and for those who found us through kristy or jillian this month and are new to our community, please click here to read all the details about our annual fundraiser and a little bit about jelissa, our current recipient, soon-to-be a graduate of FIT NYC. the beauty of this fundraiser is that we build it as a whole community, one small purchase at a time and together, we make a huge impact for an aspiring student. 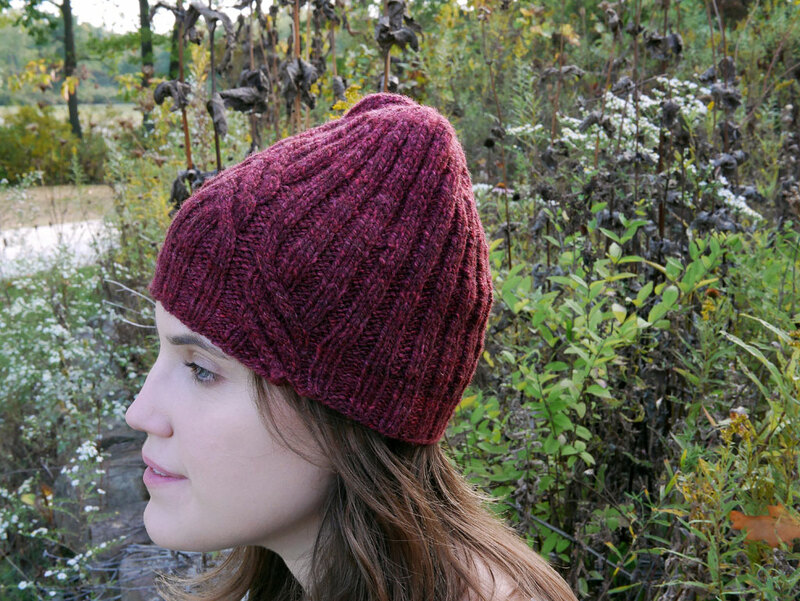 anyway, back to the hat—this cap works up in no time from just one skein of our festivus 4.0 worsted weight yarn. 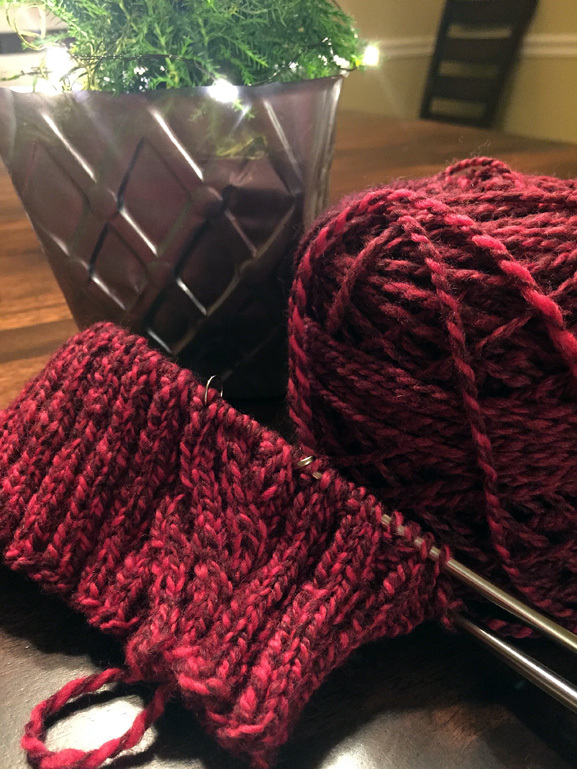 knit in the round, the fabric is super stretchy in two by two rib that is pleasantly interrupted up by a fun-to-work cable detail. the pattern includes three sizes—this design is a great candidate for that “insurance” pile; the place where you squirrel away a few extra unisex gifts for last minute giving. 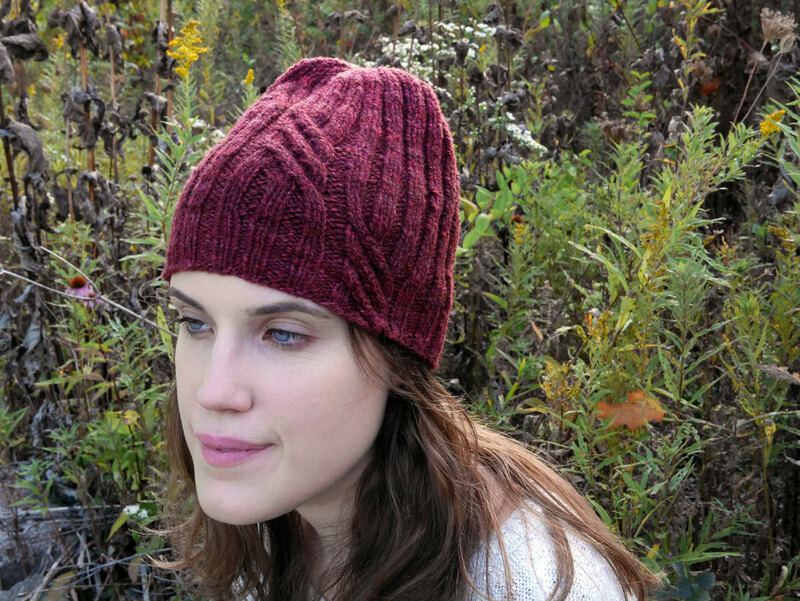 and if you prefer a lighter cap with a bit of drape, i bet you could knit one in festivus 4.0 sport as well, using smaller needles and working one size up from your usual. i might try that option next; if i do, i’ll report on it later. 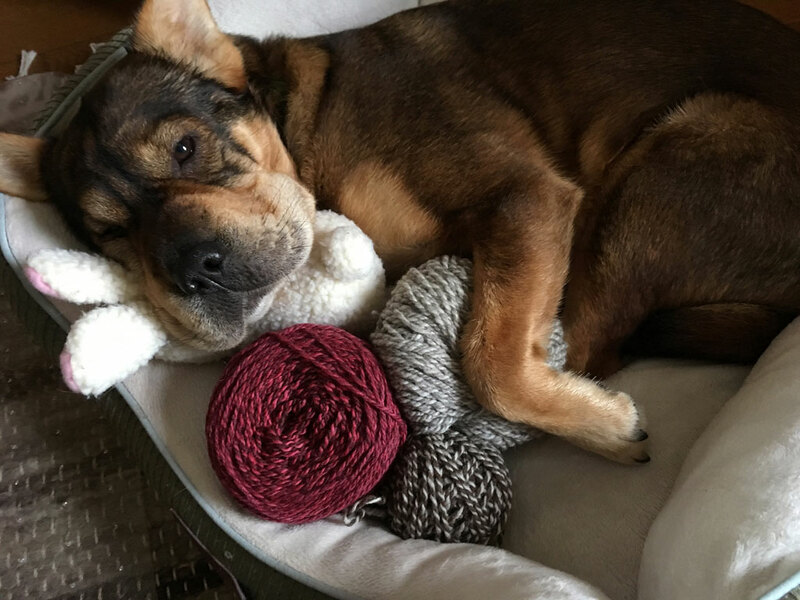 ellen started a festivus KAL in our ravelry group—please join us to knit along on kate’s hat or any of our 2017 scholarship fundraiser projects (see below)! 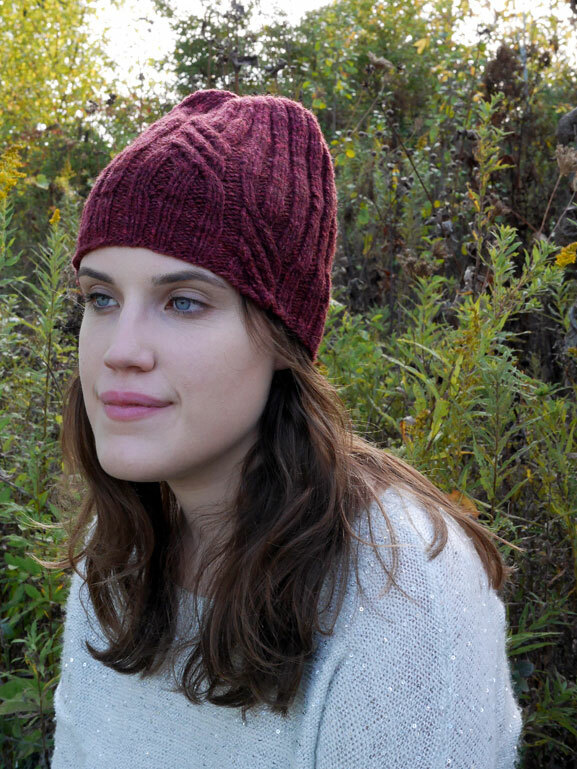 we have a couple of kate’s caps started around the shop—ellen is knitting hers in festivus 4.0 worsted (above) and i’m knitting mine in kent worsted, a great option. the only problem with mine is that it’s SO squishy i’m stopping too often to get a hug from it. 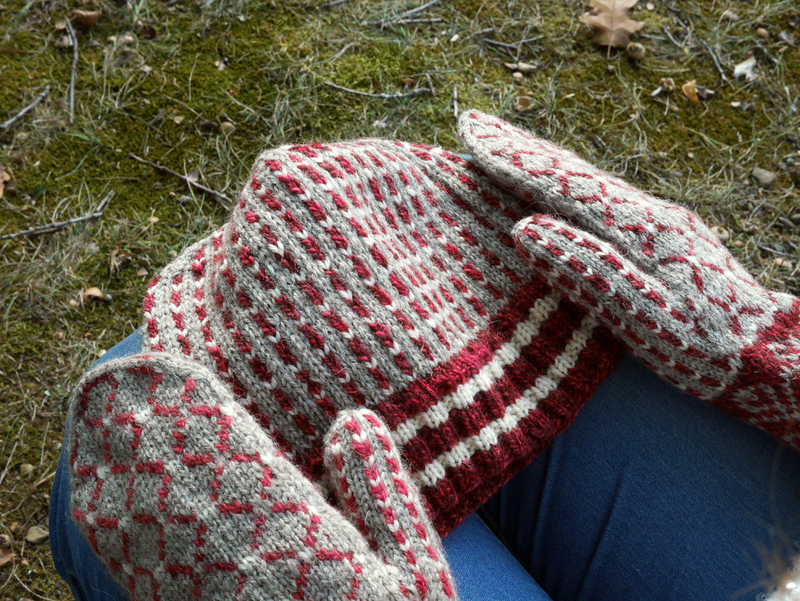 and one of my ambitious knitting students, hilary, is working on a field and shore blanket in it—to die for. she even talked her sister into a KAL. 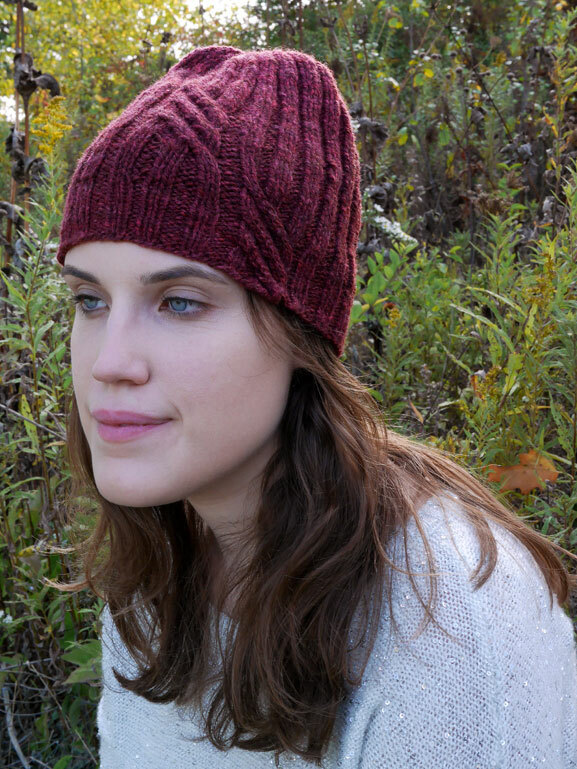 OR, click here to purchase a mayberry cap kit, complete with yarn and pattern (again, we’ll be happy to put the pattern in your rav library). 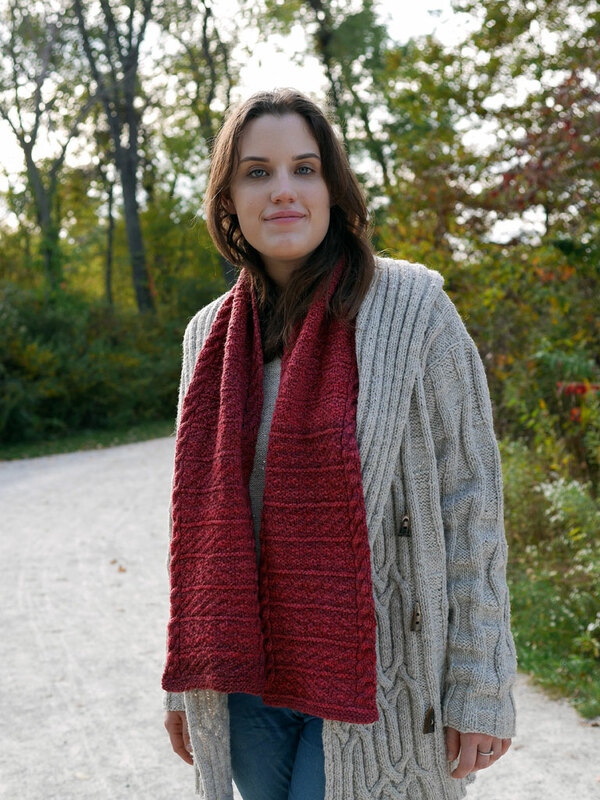 the kit makes a great gift for another knitter as well, even a beginner! 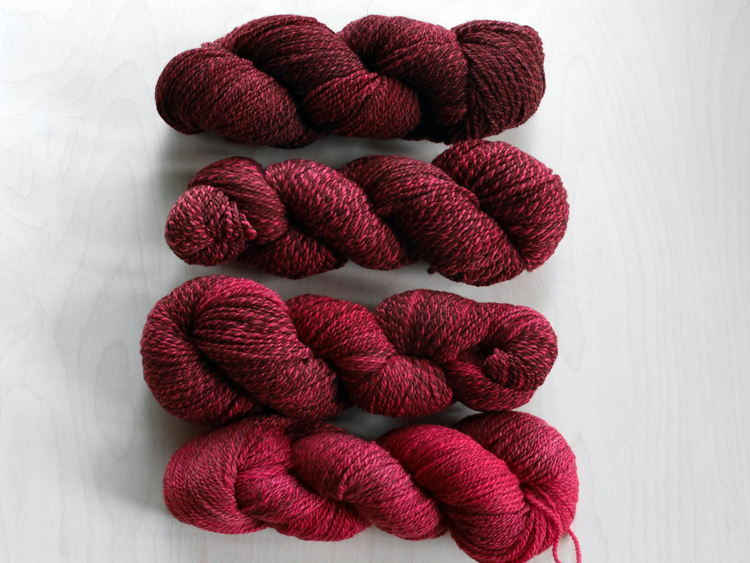 purchase a pattern on ravelry here, here, here, here, and here—the entire retail pattern price will go into the scholarship fund. Hi Cardigan! I Love you! 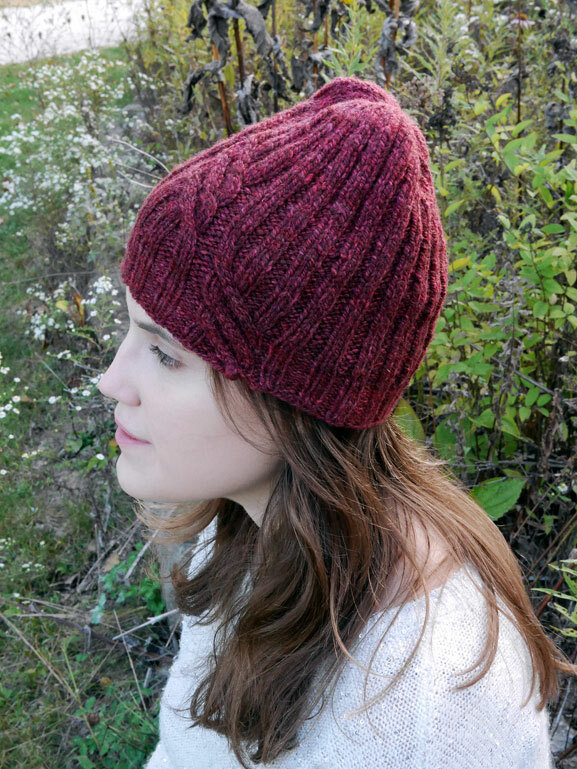 Yay for the hat pattern! 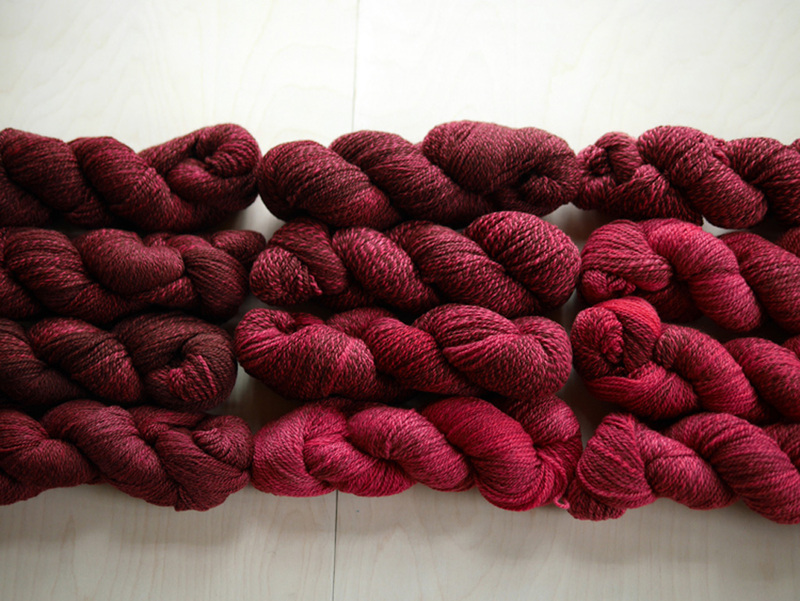 This is clearly what my skein of Festivus $.0 has been waiting for. 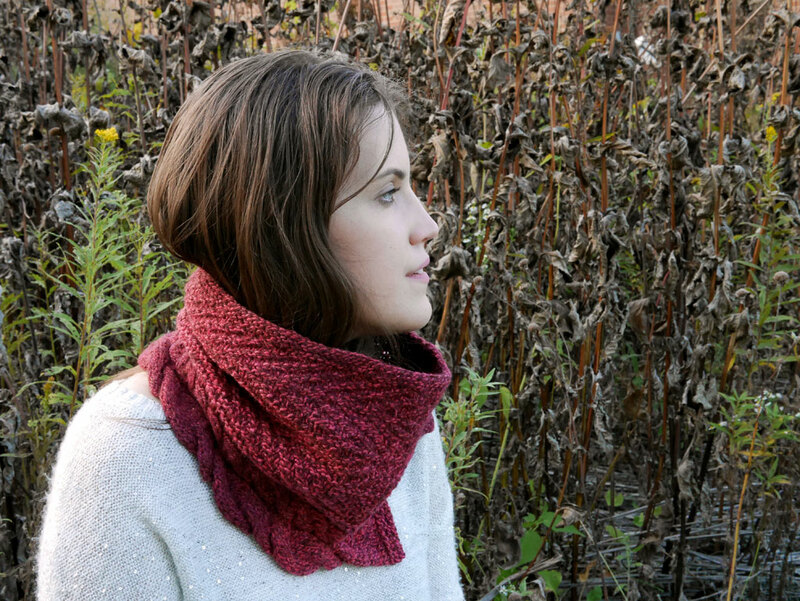 I always look forward to the Red Scarf pattern every year but the variety of patterns this year is simply dazzling! 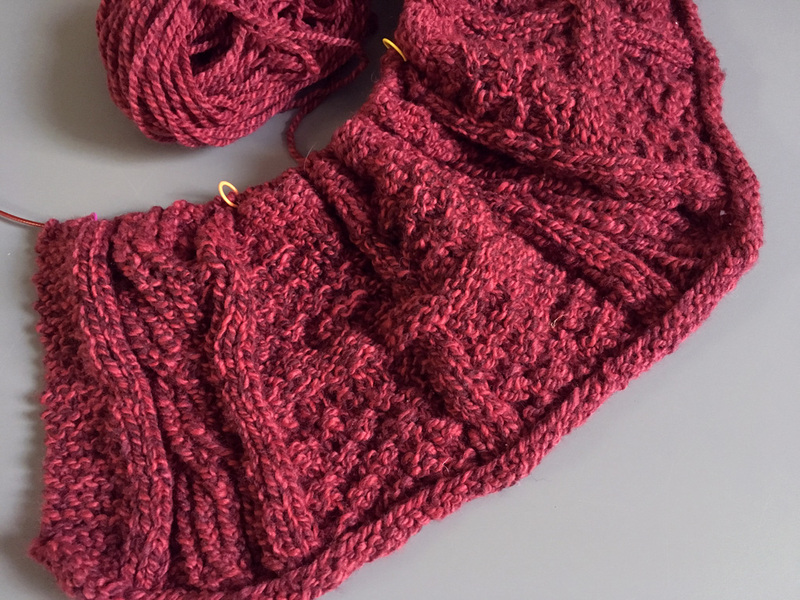 Must knit faster…and I’m eager to see your grand finale pattern, Anne!